We really can’t go wrong with a good pasta dish. This one needs a bit of a kick but it was pretty good. I cooked the chicken with simple salt and pepper, with garlic powder. My son helped with that, as he likes to assist with the spices. Walker Dennis is also pretty great with mixing items, as well. He helped create the yogurt mixture, too. My wife doesn’t like mayonnaise, or egg nog for that matter, so I went with the yogurt option. I’m a huge fan of egg nog, buying a gallon of it from Costco, every payday. I’m on my second cycle of it and I’m loving it. Again, we went with grated Parmesan cheese and not the shredded, I really need to make sure I create the grocery list when Parmesan is an ingredient. I wouldn’t imagine the consistency would be all that different but I imagine it is better to use shredded when the recipe calls for it. 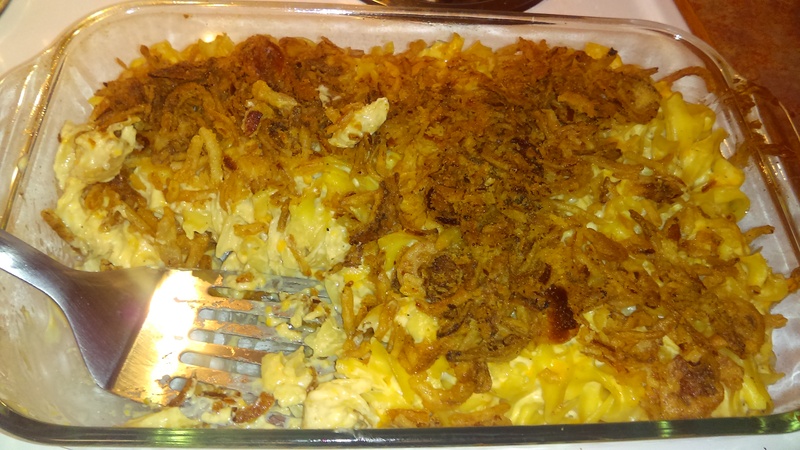 I imagine that the mixture would have been more soupy, if we used shredded as the grated cheese just sat on the chicken. So that effected the overall quality but I’m not a hundred percent sure that the type of cheese was the culprit there. Maybe I should have made it with two cups of yogurt. Instead of a 9×13 dish, I placed the chicken mixture in a 8×8 as the note states it could become a bit soupy and I wanted the chicken to marinate in the soup. Instead, the mixture never really went below the top of the chicken base. 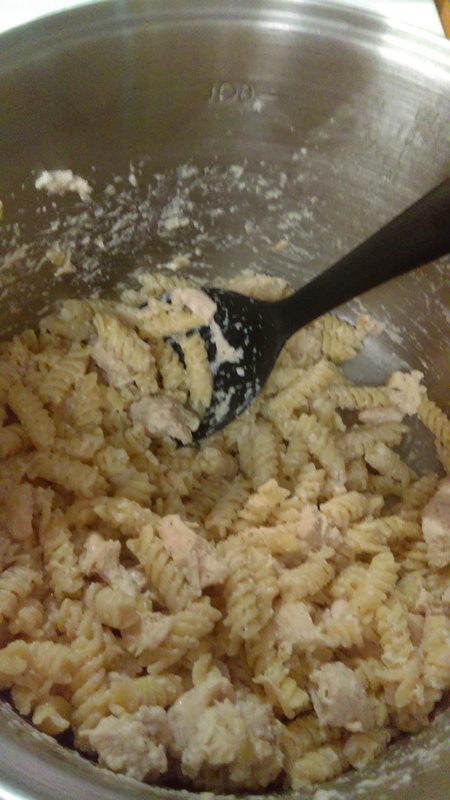 I served the chicken mixture over pasta and it was pretty good. Some bites were better than others but we do enjoy Parmesan cheese so we were happy with that. I also almost forgot to put the remaining 1/4 cup of cheese on top of the mixture, so I had to quickly take that out of the oven and put it back in. With it being the weekend before Halloween, we were running around Helena, attending all sorts of Halloween events, which was pretty fun. So not much television watching but we got in a few shows. Our next episode of The Office is Season Six’s Secret Santa. There is this odd mind space of wanting the show to get better. Though I really liked the last season, it could have been two or three episodes shorter but that finale really brought it. The show is dark but not unwatchable. The main villain started to ham it up, towards the end, but I can see where people gave up on it. We’re current with Riverdale, which is still pretty good. I’m on episode 80 of Living Between Wednesdays and they reviewed the second episode of the first season. So it is all coming together. Which is a fun time aspect of catching up with that show, as they near my present day. Dave and Rachelle joked about what season two will be, as it couldn’t be another murder mystery . . . and it totally is! What else could it be? Just pure teen melodrama? I could be cool with that. I’m doing one episode of LBW and then one episode of Comic Book Queers, to try to get current with that podcast. My next episode is the fourth one. They are not that far behind, they are on episode 8, so I’m at the half way mark, so I’m listening to episodes that were released a month ago. TMNT Legends just had a massive update, as they added a slew of characters and improvements. I still wish that, when farming for an item, that screen will show how many of the item I current have. That’ll be helpful, as well as having my current DNA number, on the individual character page. Maybe during the next update as I’m sure they are going to be hit by complaints and notices of glitches. The only one I noticed was during the Super Shredder fight, when he has armor up (meaning he can get hit once, and not be hurt) the animation for the armor, is to his far right (our left) so I’m sure they will update that so the effect is actually around him. That fight has been brutal as my top characters are all stuck at level 45, until I improve them and Chapter Five Level 12’s end boss is a level 46 and he kicks my team’s butts. So I have to max out their moves, as it’ll take forever to get enough DNA to level each of them up, if I want to stand a chance. Now that the update has happened, there are level 50 villains and they pretty much murder my team. Super Shredder punishes all of those around Leonardo and then poor Leo dies a slow death. So the update is fun but I’m so under-powered that it kills some of my enjoyment as I know it will take months to achieve the success I want and I’m not sure I want to grind that much. But I did finally unlock Raphael, so that’s pretty cool. So I have to level him up to 45, which should take some time as I’ve finally hit that point where I don’t have as much Mutagen, which I need to level up characters and moves. I also now need to spend the time to get Donatello’s DNA so that my three proper turtles can all be level 45 (or on the road to 45). Have a happy and safe Halloween! Walker Dennis is going as a pirate. Hopefully, the weather holds up and he doesn’t have to wear his jacket too much, while being outside. Look who came back! Comic Book Queers! Now they are Comic Book Queers Legacy, which I like. I still have the desire to do my Uncanny X-Cast Legacy but what I want to do, I feel like I need a script or at least, an outline, for how I want to do it. I’ll probably get around to doing it but if I did, I’l have a great time doing it. Brett and EvilJeff have seven episodes, as of now, I’ve downloaded the first episode and I see that episode seven deals with the X-Men. In the past, I only listened to their x-men themed episodes as DC and other topics didn’t appeal to me, besides movie and television episodes that I also watched. My plan is to hear all seven episodes and get current and see if they structure their current show like their old one, where it is heavy focus on the topic at hand. If so, I’ll listen to the first parts and see if i should continue on. Worst case, I’ll just listen to episodes one, two and seven and go from there. I rediscover them as they started following me on Twitter and I thought I should at least see what they were up to now. Apparently they have other shows in their network, I’ll probably not branch out unless they promote them on the show and they sound interesting to me. A couple tweets down their timeline, they plug episode seven so I knew I wasn’t too far behind. UniverseHead, is the proper name of the network, and all the shows are relatively new, no one has more than 12 episodes from what I see. What unites them is that they are all Chicago based podcasts. So that’s pretty interesting, as I’ve always been a fan of Chicago. Stitcher has their old episodes, I’m not sure if all of the links are still active. A tad irritating that it loads five episodes at a time, instead of just a 100 at a time, as they stopped at episode 240. I had stopped well before then, as they added a new crew and I’m pretty certain that Brett and EvilJeff were no longer featured in the episodes and those were the two I liked. I’m so excited that they are still way into the X-Men and still not that into DC, so essentially the perfect podcast for me. I’ve been really wanting a podcast that goes into the X-Men and this is going to be that podcast for me. I could maybe do without the two Iceman segment but it is silly and could be fun. They don’t make an appearance in the second episode. The second episode describes, like the X-Cast, that they are in two different cities. Brett in Chicago and EvilJeff in Los Angeles. Definitely a podcast worth listening too! 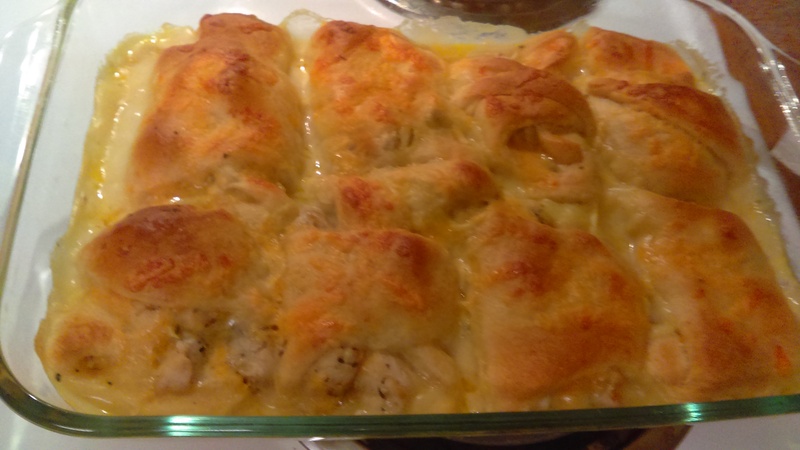 I really liked this recipe but my wife only thought it was okay. When I prepare chicken, I like to use the spices from the dish to cook the chicken with. This recipe didn’t call for any spices so I looked up one of our spice blends. I think this could have gone better. I didn’t have coriander leaves but everything else so I stuck with this recipe. I need to learn to not use as much cumin, maybe half it. We like it but a tablespoon essentially turns the spice blend into a cumin blend with a cameo appearance from everyone else. We must have gotten bigger than six inch tortillas as I started with lining the bottom with six tortillas but then quickly realized that, with future steps, I would only use half of the required amount. The directions state to not grease the pan, so I thought adding six tortillas was a smart away around that. We had a decent amount of red enchilada sauce, left over, and that was after I used a pretty generous amount, throughout the recipe. We could have used more green chiles, two small cans instead of the one small can. I really like green chiles, as does my wife, so we should double that ingredient. I also used plenty of cheese, as one can never go wrong with too much cheese and we did get the Kraft Mexican blend, this time. Step five wants six more tortillas, and we bought a ten pack, which was helpful as it gave me a reason to pause. So I used two at this step and two more for the next step. 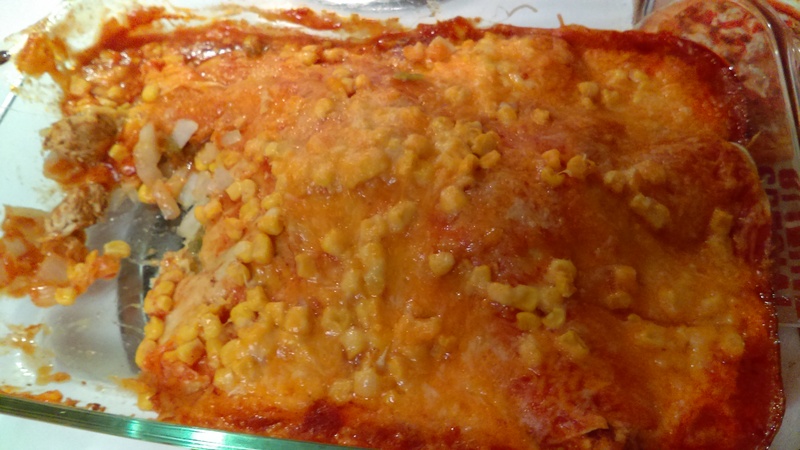 I also missed the corn portion of step five and just threw the rest of it during step six. Not like it really mattered but I was happy that I looked into the can of corn and noticed there was more in there. I baked it for 35 minutes and it looked pretty good. I think the chicken brought it down a little and maybe making it into a spicy dish, would have helped. More green chiles, would have helped too. Our next episode of Office Season Six, is Niagara, Part Two. We had plans to really commit to Arrow Season Five, so that we could catch up to the current season but we missed the mark by two episodes. Hopefully we can still catch up, but the season is getting better. The show really could have been 21 episodes, instead of 23. A comment I keep making. I’m just done with filler episodes. At one point, one of the characters actually said something along the lines of “we have to stop the search for Prometheus and handle this” which is essentially saying “this is a filler episode, ya’ll.” Our next episode is Season Five’s The Missing. We went to Great Falls, this weekend, and went to the Applestem Maze, which our son really enjoyed. I was hoping for more of a Curious George presence as Walker Dennis is really into Curious George. Well, he used to be more into his adventures but still perks up when he seems George. If we were there opening weekend, they did have George and The Man in the Yellow Hat but we were never going to go during opening weekend. We also stopped by Kelly’s Komix. We were not going to go there, at all, as I wasn’t going to buy five comics of the 115 that I would need to buy to be current again. But on Friday, I learned that Lockheed was in X-Men Gold 13 so we stopped by and they still had a copy of it! So now I just need Captain America : Steve Rogers 15’s ResurreXion variant cover and I’ll be current on Lockheed’s appearances. I still haven’t read the issue yet, but the hard part was buying it. Such a great comic book store, too. Probably the best one in Montana. The Missoula one is nice but Kelly’s Komix has this incredible selection of back issues, and I could probably spend hours in there. I’m lucky if I can spend 15 minutes. I was by our storage unit, looking for my notary journal and stamp. I knew they were in a comic book box, so I found that box. It only had my journal in it, which is the least important part of the duo. That box was supposed to have the last five comics I bought from Hastings, too, so that must be in another comic book box. Next time I go to the storage unit, I’ll have to look for it, again. My son and I are caught up on Riverdale’s second season. So far, so good. My wife pointed out that Mr. Lodge is portrayed by Mark Consuelos, Kelly Ripa’s husband. He’s doing a great job, thus far. We’re in the middle of Doctor Who Season Nine’s Face the Raven. We started it too late so we couldn’t finish it. Hopefully tonight. I’m on episode 78 of Living Between Wednesdays. Rachelle and Dave are going to review X2 : X-Men United. I would be a couple episodes further but Comic Book Queers is back, as Comic Book Queers Legacy so I’ve heard the first episode and have the second one to listen to, as well. Then I’ll write a post about that. I missed Brett and EvilJeff. Turtle Soup also released episode 162, and Prinze and the Wolf should be releasing an episode on Tuesday. 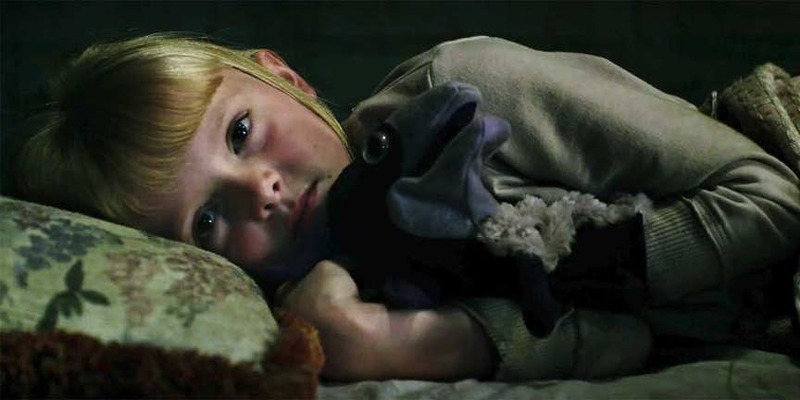 I’ve learn to just wait until Wednesday morning, to be on the safe side. I’m almost out of my banked T-Coins in TMNT Legends, and becoming less addicted to it. They keep hinting at a huge update but it hasn’t happened yet. I just three starred the movie mission so now I can use my warp passes to quickly get the movie characters. Of the released characters, the only one I haven’t made DNA progress on is Classic Rocksteady, so that has been fun. Still a fun game, and I had to grind to beat the movie sidequest, but now that I have completed all of this prep work, the game should be fun again, as I can make progress again. Hopefully. This was a rather simple dinner. It needs a side, next time, I’ll make rice with it. The dinner went right as my son, Walker Dennis, helped me make it and he hasn’t asked to help in a month or so. I’m not sure what made him stop cooking with Dada but I miss the little guy being at my side. We enjoy a nice tall can of Arizona Sweet Tea. I enjoy one, even if he doesn’t ask for some but it is nice when I drink from the can and he enjoys his share in his Tumbler. And by share, I mean, the bulk of the drink. My son had a great time with unfolding the jumbo crescent rolls. He also liked making the soup. I had cooked the chicken with a sprinkling of rosemary. He wanted to try the rosemary and with the reminder of the sample, put that into the soup. Not like it changed it at all but he made that bold choice. I’m not sure if it needed two cans of cream of chicken soup or two cans worth of milk but I would have liked more soup. I feel like two of each, might be a tad much. My son really liked the soup, so that’s good to know. It doesn’t really taste all that bad, on its own. We went with Pillsbury jumbo rolls and Campbell’s soup. I thought the rolls tasted pretty great, I just wanted more soup. My wife and son thought it was okay, remarking that it needed a side. We ate all eight of them so no left overs for us. This weekend started our October weekends being quite busy. We had plans to watch the seven Arrow episodes we needed, so we can watch season six live but we didn’t watch any episodes. I misread Netflix’s episode count for The Office’s fifth season. At first, I thought it was only 23 episodes so we marathon-ed the entire Michael Scott Paper Company, but we still have a couple more episodes before that season is over. Our next episode is Cafe Disco. My son and I are 20 minutes into Riverdale’s first episode of season two. So far, pretty good. We watched it in two sittings of ten minutes so I need to power through and watch the rest of it. He’s having some rough nights, going to sleep on his own, so it has cut into our television watching. I’m on episode 74 of Living Between Wednesdays. I’ve cooled down on TMNT Legends, this weekend, as I only really logged to visit the shop, play my PVP games and attempted to unlock Splinter, which is going to take forever as I still only have my four turtles and two of them are Leonardos. My main team still isn’t strong enough to beat the two levels I’m working on, enough to three star both levels and I really don’t want to move onto new levels until I’ve gotten those two levels three starred. Lots of Halloween and Fall activities are coming up and we’re excited for and ready for Halloween to be over as it is taking up some of our time but once we’re at the events, they are pretty fun. The Kleins also met the Montana Ghostbusters! That was pretty cool. Once we left the Fallfest, which is getting smaller each year, our son kept seeing ghosts and wanting us to call the Ghostbusters. Which is super cute. 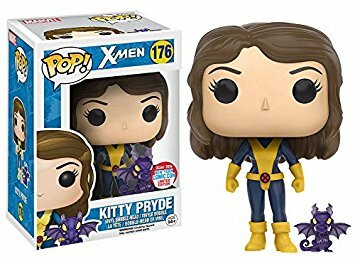 My wife was sweet enough to ask me what Kitty Pryde merchandise do I not own, and while showing her my “Wishlist” tags on this site, she noticed that I still had this toy listed as a Wishlist item. I told her that I do a follow up “Bragging Rights” post when I actually received the item. There isn’t a way to check the post or something like that, to show that I now own it. Well, I could edit the original post, but then, that doesn’t pump the original post or something. Plus, it gives me another post, and that’s always nice. What isn’t nice though, is that I never got around to bragging about my awesome wife buying this for me! I think what stopped me was that I wanted to take a picture of my dorky self with it, and use that image for it. 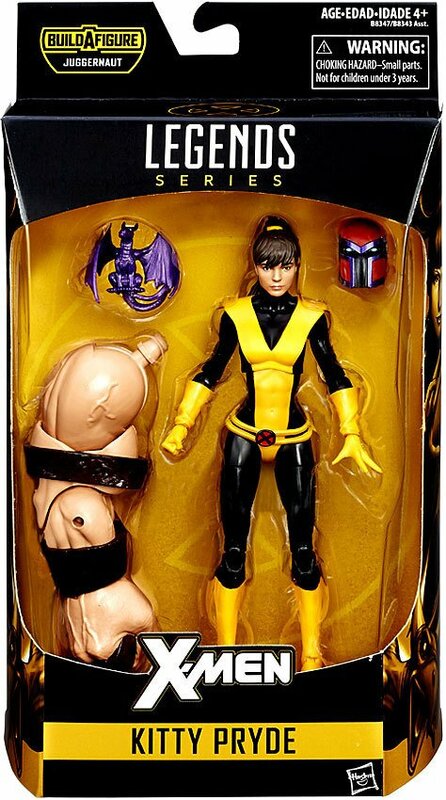 The year prior, so two Christmases ago, my wife got me the Kitty Pryde Marvel Bishoujo Statue and I had her take a picture of me then. Last year though, I had a phone that allowed me to take selfies and I could have done it myself, awkwardly holding this toy in one hand and a camera in the other. My lame excuse was, I should have just asked her to take the picture of me and moved on. I’ve had plenty of time, I just didn’t do it. Now ten months later, I’m finally getting around to writing this post. I’m an arse. And a jerk!